Brought to you by CINZ, Eat My Lunch and Celebrity Speakers. This year CINZ is introducing a new initiative for MEETINGS' Day Buyers, inviting them to enjoy a complimentary lunch supporting a good cause. 'MEET, Eat and Speak' is a new lunchtime experience for Day Buyers, combining fare from award-winning social enterprise Eat My Lunch with an inspirational showcase from Celebrity Speakers. For every one of the 500 Day Buyer Lunches served across the two days, CINZ in conjunction with Eat My Lunch, will donate a lunch to a Kiwi kid in need. 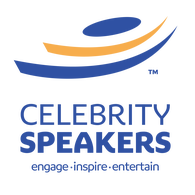 Once again Celebrity Speakers will partner with CINZ to delight guests with their Speaker Showcase, each day profiling a great line-up of potential conference speakers. Guests will be inspired by the fresh new look and feel, with contemporary styling by Centrepiece, table linen from Pacific Linen and AV by High Definition Audio Visual (HDAV). 'MEET, Eat and Speak' will be held on Wednesday 29th May and Thursday 30th May, from 12.30pm - 2.15pm.